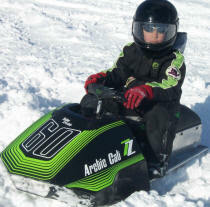 We are proud to present some pictures of our customers excellent sleds. 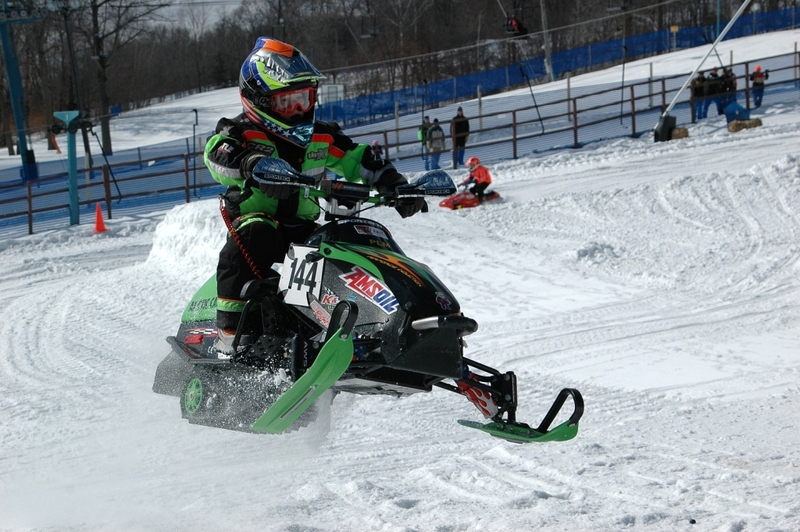 Llayna Charest crusing the back yard on her Kitty with original green hood. Richard Fitzgerald's hobby toy. 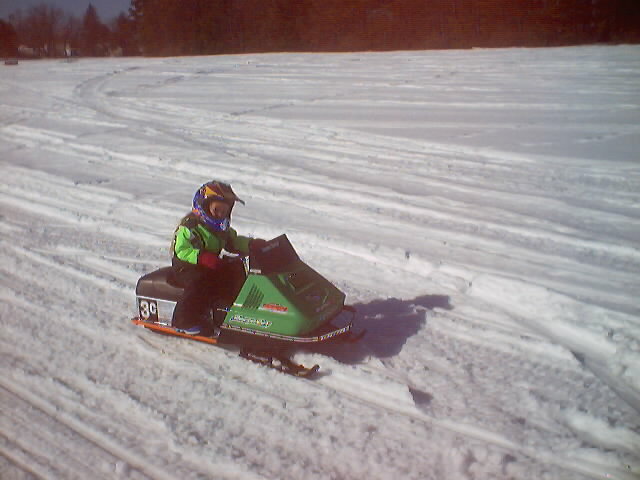 This sled has it all, including electric start, belt drive, and lots of things he probably wants to keep secret. 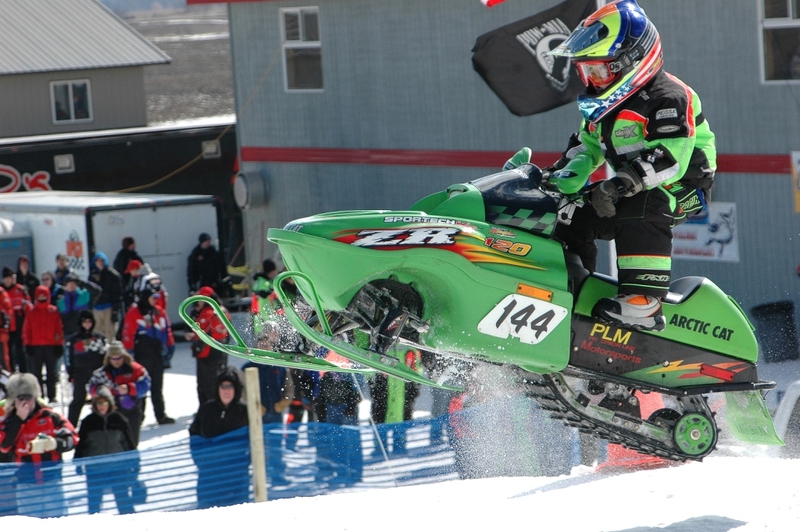 Austin St.Cyr gets nice air while ripping up the sno-x track. Here's Austin St.Cyr at it again. All this guy needs now is wings. James Stoeckly's small bundle of joy.